In the beginning, fitness watches weren’t always pretty. They were harsh black bands that stole all the attention on your wrist, like that one guy in the gym who always does curls in the squat rack during peak hours. But as fitness wearables have evolved, companies have realized that people want their wearable tech to look nice. Enter companies like Withings, who have cornered the market on a variety of frankly beautiful wearables that celebrate both minimalist form and maximum function. Go is the company’s latest release in wearable tech, and it represents Withings taking a bold step into uncharted territory: budget fitness trackers. But does it measure up to the competition? The cost of fitness trackers used to be a barrier, especially if you wanted features that made your wearable more than just a glorified pedometer. But Fitbit, Jawbone, and Misfit, among others, have made a solid foray into offering budget-friendly options that legitimately do what basic fitness trackers should do, like monitor sleep patterns and know the difference between walking and running. Withings Go can fit into a plastic wristband, clip, or keychain, with a variety of color options. And unlike Jawbone’s Up Move ($50), Go comes with both the wristband and clip — no separate purchase necessary, unless you want different colors. Additionally, the screen can toggle between a regular analog clock and a progress bar towards your personal activity goal. The biggest difference between Go and other options is actually the screen itself: it uses an e-ink display, which translates into crazy-long battery life (8 months!). Go works with the Withings Health Mate app, which integrates third-party health apps like My Fitness Pal for calorie counting. So, while you’ll miss out on the elevation-detecting abilities of Fitbit One, you’re getting everything a basic fitness tracker should do for a reasonable amount of cash. One of the things that has made Withings notable in fitness wearables is the company’s focus on designs that look and feel like luxury. The Activité line, which starts at a cool $149 and tops off at $450, is focused on a series of sleek trackers that look like classic analog watches. They’re cool. They make users want to wear them because they seamlessly integrate with what people wear, even outside of the gym. Withings Go, on the other hand, looks like it was made for a budget. But at $69 — really, $69.95 if we’re splitting hairs — the price isn’t too far away from more attractive options, like the Misfit Shine or even Withings’ own Activité Pop, which both cost $99. Go offers plenty of great tracking options, but the price doesn’t quite match the look. Sure, aesthetics might not seem like a huge deal if you’re just going to use a fitness tracker while you run. But if companies want a variety of users to wear their fitness watches as part of their day-to-day routines, attractiveness has to be a part of the equation; couching fitness trackers in bulbous, primary-colored bands is not a sustainable direction if companies want to start attracting wider demographics. 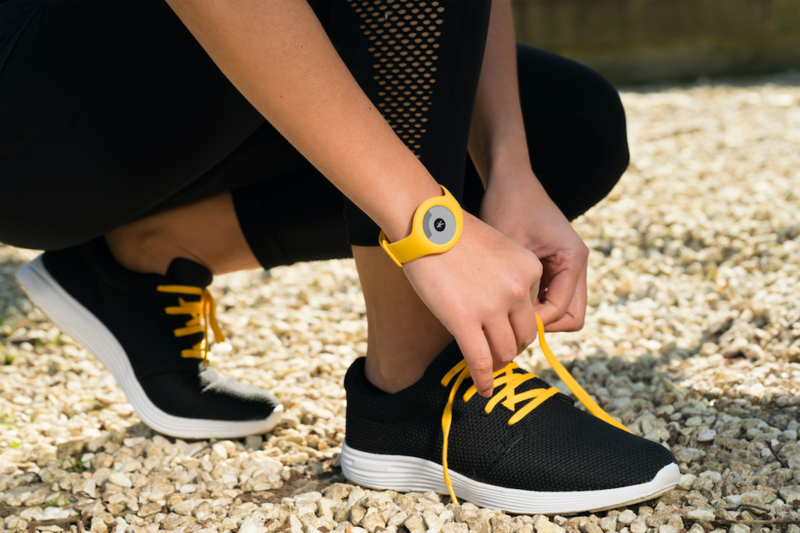 Hutchings says that Go is “great for the consumer who is a beginner to activity tracking. The device is simple to use, doesn't require behavior change (such as daily charging or smartphone syncing), and includes an array of features at a reasonable cost.” So, Go is a solid choice if you want a no-frills, waterproof wearable under $99 that can track your sleep schedule (something other budget options can’t claim). 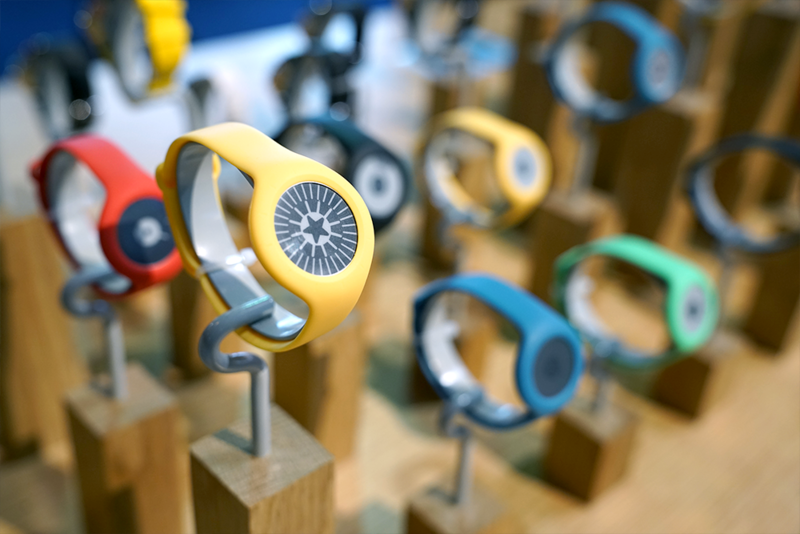 Fitbit, Jawbone, Misfit, and now Withings offer similar options at similar price points — but the minute a well-rounded wearable comes along that looks beautiful and costs less than $99, we’re looking at an entirely new playing field of wearables for a wider consumer base: people who want to track their fitness and want to enjoy wearing the product, but don’t want to shell out a Benjamin to get there.